Seven suspects arrested in connection with the much-publicised murder of Polokwane man Thorisho Themane are now out on bail. Family of the deceased have expressed disappointment after the men were granted R2000 bail each. 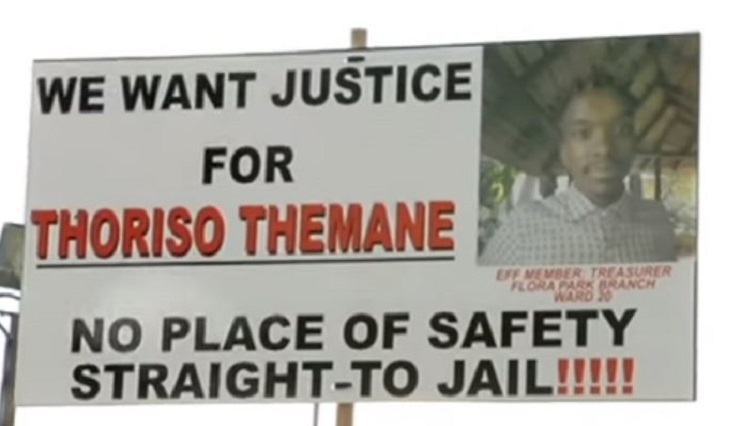 Themane was killed allegedly by a group of teenagers in Polokwane two months ago. This is the fourth postponement since the case was brought to court and the state did not oppose this latest bail application. Initially two adult suspects were granted R1000 bail each. One of the bail conditions demands that suspects stay out of Polokwane for safety reasons. Although deeply disappointed, family of the deceased says it still has faith in the justice system. Police are disappointed that the Polokwane Children’s Court has granted bail to the minors. The teen suspects aged between 13 and 17 years old are pupils at various schools in Polokwane. Part of the bail conditions are that they must be transferred from their schools and continue their studies outside Polokwane. The post Suspects in Themane murder case out on bail appeared first on SABC News – Breaking news, special reports, world, business, sport coverage of all South African current events. Africa's news leader..